Edward James Egan, of East Dulwich, London was born on 2nd November 1920. He was awarded Aero Certificate 16612 at the London Transport Flying Club on 26th November 1938, his occupation was recorded as ‘Mechanic’. 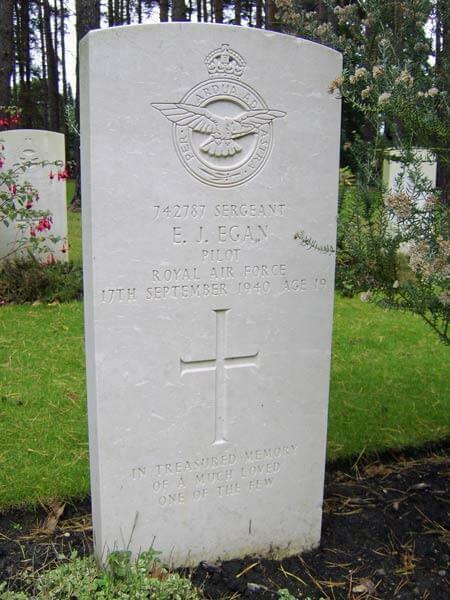 Egan joined the RAFVR about January 1939 as an Airman u/t Pilot. Called up on September 1st 1939 he completed his training and arrived at 5 OTU, Aston Down on June 10th 1940. 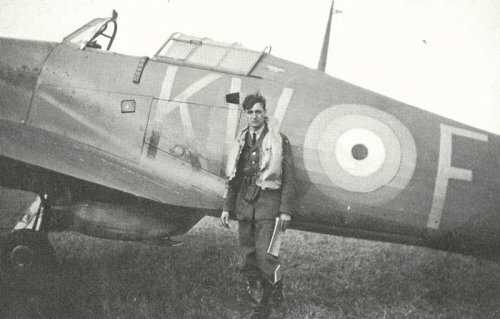 After he converted to Blenheims, Egan was posted to 600 Squadron on the 24th. 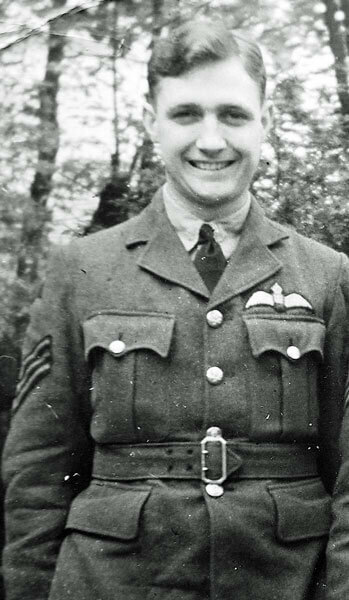 He moved to 615 Squadron at Prestwick on August 27th and then to 501 Squadron at Kenley on September 3rd. Egan claimed a Me109 destroyed on the 15th. He was killed on the 7th, shot down in flames in a surprise attack by a Me109 over Ashford. His Hurricane, P3820, crashed in Daniels Wood, Tuesnoad Farm, Bethersden. His name is on the Runnymede Memorial, Panel 14. He was 19 years old. When the site was investigated again in November 1978, evidence was found to prove positively that it was Egan’s aircraft The grave marker at Brookwood was changed to include his name.